First reactions are often times best left unsaid, like that letter you write to the guy who just fired you that you decide a day later not to drop in the mail. Most times, that’s the right decision. Rams fans don’t have to – and haven’t – been nearly as careful. We know the NCAA Tournament Selection Committee screwed over CSU, and we can say it loudly and often. Teams with an RPI ranking of 30 don’t get left out. Teams that win 27 games shouldn’t get left out. Yet CSU got left out. 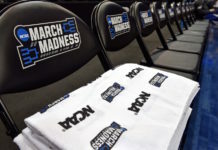 They were left out in favor of brand names like Georgia, Texas, Indiana and UCLA, teams that were not near as deserving, but who’s reputation and population/fan bases swayed some poorly prepared or maybe lazy committee members. It was just easier for them to lean on more familiar names that fans already knew. Either that or someone owed Steve Alford a favor. The exclusion of a Colorado school is not something new. The same thing happened to a deserving Colorado team during Tad Boyle’s first season in 2011. The Buffs won a school-record 24 games but were snubbed. It’s seems the committee has no problem dishing out disrespect to the fans in our part of the country. This year, the committee did what some of us feared they might do, which is once again allow themselves to get swayed by those brand names. The pundits that study this stuff carefully and produce year ‘round “Bracketology” were all certain that CSU would be in and not Alford’s Bruins. Yet for some reason, the committee credited UCLA for “close losses” (which may be a first), while brushing aside moments like a 71-39 beat down at the hands of Utah. There were many prominent voices that expressed dismay about a Bruins team that had an RPI of 48 and lost twice by more than 30 points getting an invite. For his part, Eustachy proved to be far too trusting in the legitimacy of the process down the stretch. He trusted a group that should not have been trusted. 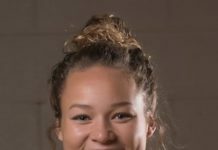 After the Rams beat Fresno State in the first round of the Mountain West Conference tournament, he elected to hold out CSU’s best player, J.J. Avila – who had twisted his ankle against the Bulldogs, but was dressed out and “available” for the semifinal game against San Diego State a night later. Eustachy’s reasoning was that the Rams had already done enough to earn an at-large bid, and that a win against the Aztecs was not critical to their chances. He wanted Avila at full strength for the NCAA Tournament. The move was akin to a baseball manager sending out his second best starting pitcher while saving his best arm for the next game when his team was facing play-off elimination. Even at less than 100 percent, Avila could have helped the Rams take down a very beatable Aztecs team. Maybe the coach didn’t count on Wyoming beating regular season co-champion Boise State (who also got in with a lower RPI than CSU) in the other semifinal and then winning the tournament (and an automatic bid) by beating that same SDSU outfit. That made it four MW teams in the NCAA mix (which proved to be one too many for the biased committee.) Some feel like Wyo getting in pushed CSU out (although the committee said that was not the case.) It shouldn’t have been. The Pokes deserve their invite above many others, too. But unlike Eustachy, Wyoming coach Larry Shyatt went to Las Vegas believing his team had to win the tourney to get in. He was right. 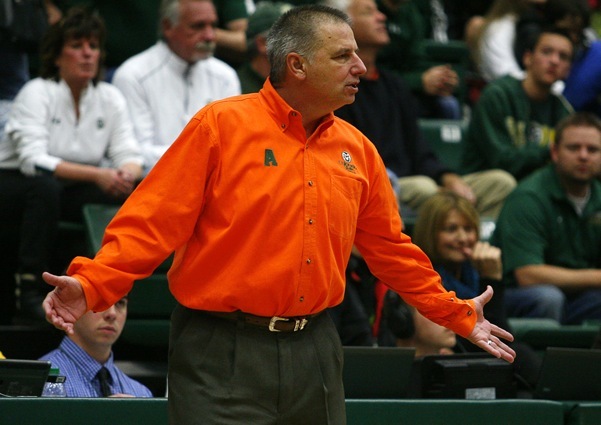 Eustachy believed the Rams already had their “tomorrow” all sewn up and didn’t have to play like there wasn’t one. He was wrong. And even in the midst of a great season, the Rams can look back at a home loss to Wyoming and a road loss to Boise State – a game where they blew a 12-point, second-half lead – and say “what if” they hadn’t let that one get away. These were mistakes – the kind most teams make every season – that CSU coaches and players will have to live with for a long time. But that’s not going to be as hard for the Rams seniors (including Avila) to live with now and forever as having to live the egregious mistakes of the committee that the deserving players and coaches had no control over. Bottom line: Barnes and Company should be ashamed of themselves.